ProPublica obtained Medicare Part D data from the Centers for Medicare and Medicaid Services (CMS) under the Freedom of Information Act. Here follows more information about the data and how we analyzed it. Prescriber Checkup examines the prescribing patterns of physicians and other providers in Medicare’s drug benefit program, known as Part D. No patient information was disclosed. ProPublica has published Prescriber Checkup since May 2013. We initially obtained the data under the Freedom of Information Act. (You can download older data in our data store.) In April 2015, the Centers for Medicare and Medicaid Services began releasing the information on its website. There is a lag between when prescriptions are written and when the data is processed and released. The data currently available covers calendar year 2015. Prescribers include any health professional who wrote prescriptions filled by beneficiaries in Medicare Part D. In addition to doctors, nurses, physician assistants, dentists and others with prescribing authority are included. In 2015, nearly 1.4 million providers wrote more than 1.4 billion prescriptions, including refills. The data does not include prescriptions that were written during hospital or short skilled nursing home stays because those are paid for under different parts of Medicare. For each provider and drug, the data included the total number of claims, including refills dispensed, the number of beneficiaries who received the drug, the retail cost of the drug, and the days of supply. CMS did not release any information in cases where a provider wrote 10 or fewer prescriptions for a specific drug, to protect patient privacy. In addition, if the number of beneficiaries who received the drug was under 11, that field was left blank to protect patient privacy. 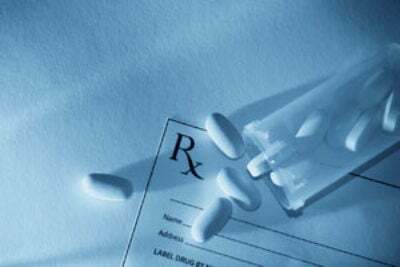 The file also broke down those prescriptions written for patients 65 and older in 2014. Prescriber Checkup displays about 447,000 providers who wrote 50 or more prescriptions for at least one drug in 2015. CMS also provided data on overall spending and prescriptions for each drug nationally and in each state. To understand how best to analyze and categorize the drugs, we consulted dozens of experts. They included pharmacologists, academics, government officials who work with prescribing data and specialists in geriatrics and psychiatry. In our early analyses, we relied on data from First Databank, a company that sells and analyzes health information, to classify drugs by category, such as narcotics or antipsychotics. In the current version of the tool, we rely on lists from CMS to characterize drugs as antibiotics, opioids (painkillers), antipsychotics and those that are potentially risky drugs for seniors (as characterized by the American Geriatrics Society). The Medicare Part D data was attributed to doctors both by name and by a unique federal health care ID called an NPI, or National Provider Identifier. Providers’ information is current as of May 2017. The data could not tell us everything. We interviewed many high-volume prescribers to better understand their patients and their practices. Some told us their numbers were high because they were credited with prescriptions by others working in the same practice. In addition, providers who primarily work in long-term care facilities or busy clinics with many patients naturally may write more prescriptions. In addition, the type of patients some doctors see may affect their rate of prescribing name-brand drugs. Some of the physicians who prescribe name brands at far higher rates than their peers specialize in treating HIV/AIDS or Hepatitis C. The drugs for these patients are expensive and there aren’t comparable generics. If a provider prescribed more brand-name drugs than peers (more than two standard deviations above the mean) or fewer brand-name drugs than their peers (more than two standard deviations below the mean), we indicate this in the app. Prescriptions can vary in length, from days to months. Some researchers who analyze prescribing patterns adjust the number of prescriptions to a 30-day standard to allow for easier comparisons between providers. This app does not. Rather, it notes when the average length of a provider’s prescriptions for a given drug is higher or lower than normal. In some cases, a provider may write shorter prescriptions while adjusting a patient’s medication regimen, for example. That could mean that the provider’s prescription count may appear higher than his or her peers. On the other end, if providers write prescriptions for more days than average, they may have fewer prescriptions. Prescriber Checkup indicates that a prescriber’s average prescription length was significantly higher or lower from his or her peers if it was more than two standard deviations from providers in the same specialty and state for that drug. If there are fewer than 20 providers in a given specialty and state, we don’t show comparisons. To protect the privacy of patients, CMS redacted the number of claims for a given drug class if it was between 1 and 10. They also redacted or the number of beneficiaries who received a drug in the class if it was between 1 and 10. When comparing doctors based on their prescribing of antibiotics, opioids, antipsychotics and other potentially risky drugs for seniors, we only show comparisons when at least 20 providers in a given state or specialty had unredacted numbers (either zero or more than 10) in these categories. If more than 20 providers in a state and specialty had unredacted numbers, we calculated the state/specialty average, including only providers with 100 or more beneficiaries to avoid potentially misleading information based on a limited number of patients. In a few cases, we use percentage estimates instead of precise rates for brand-name prescribing, percentage of beneficiaries aged 65 and older and percentage of subsidized claims for low-income patients. This is because of CMS redactions in the underlying data to protect patient privacy. The actual number may be higher or lower by as many as five prescriptions. These instances are marked in the app; the vast majority of doctors do not have estimated rates. Finally, a small number of drugs appear more than once in the tool because of slight differences in their generic names. See our FAQ for more information about this project. If you have questions or need more information, please email [email protected]. Tracy Weber contributed to this report.